On December 9, 2018, John (Jack) F. Keegan of Manahawkin NJ suddenly passed away in his home. 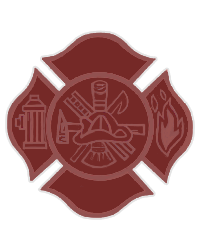 Jack was a life member of the Tinton Falls Fire Company, a past member of Point Boro Fire Company, and a past member of Stafford Township EMS. Jack is survived by Robert Keegan his son and Amanda McQuade, Deborah Brown, mother of Robert Keegan, Ella Brown his mother in law, Michael Keegan his brother and his wife Carol Keegan, many nieces and nephews, Linda Siemon, Lily, his faithful canine, and countless friends and neighbors that he loved and cared for. Jack was born and raised in Jersey City and attended Marist High School as well as attended Saint Johns College. Later in life Jack lived and served in the Borough of Tinton Falls where he raised his son with Deborah Brown for many years. The family then relocated to Forked River where Jack and his son lived and then finally to Manahawkin where he enjoyed his final years with family and friends by his side. Jack for many years was involved in emergency services between Ocean and Monmouth Counties. Jack was passionate about helping others and caring for his family. Jack always had an open door policy at home and it would not be out of the normal to see a small fleet of ambulances and first responders from his extended family at Stafford Township EMS over the house enjoying his hospitality and good humor. Jack had a heart of gold and was the type of person to go the extra mile just so someone could smile. Jack passed along his wisdom and experiences to which his son and many other Fire Fighters and EMT’s learned from. Although his passing has left a void in our lives, he will always live on through the lives he touched and the people he helped in their time of need. Visiting hours will be on Thursday, December 13, 2018 from 5pm to 9pm at Maxwell-Tobie Funeral Home, 573 Mill Creek Rd., Manahawkin, NJ., 08050. A Mass of Christian Burial will take place on Friday, December 14, 2018, 11:00am at St. Mary of the Pines Church, 100 Bishop Way, Manahawkin, NJ 08050. Cremation will be private.